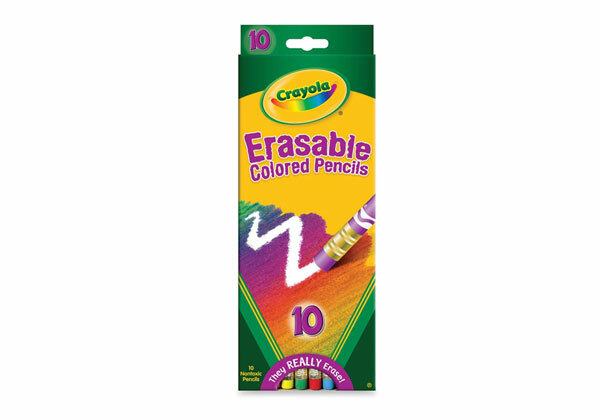 Great for use at home or school, Crayola Erasable Colored Pencils are an essential creative tool for kids. This pack of 12 pre-sharpened colored pencils with erasers let kids easily redo drawings or correct mistakes. Made with thick, soft leads that won't break easily, the pencils create brightly colored lines that are perfect for school projects and creating detailed artwork.